The VIBRAX VBL trough vibrators are characterised by a rectangular bowl and are especially suitable for the treatment of big pieces and for pieces that require a strong deburring effect, with a consequent remarkable quantity of removed material. Another interesting option is the deburring, smoothing and polishing of pieces fixed on special frames. This solution guarantees perfect results combining the remarkable cutting action of the machine and the advantage of avoiding contact between the pieces. 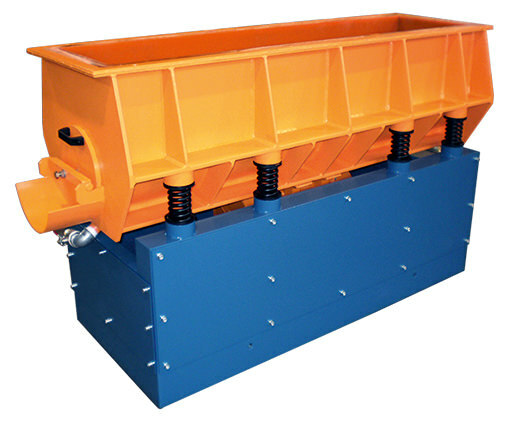 Trough vibrators VBL-E are an inexpensive and efficient solution in the range of rectangular bowls. 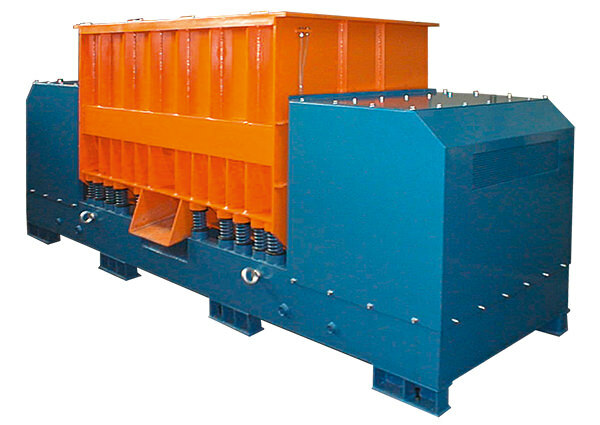 VBL-E vibrators are characterised by one vibrating motor placed under the work bowl. Thanks to this feature, the VBL-E range is quite cheap but there is a limit regarding the available sizes. VBL-E trough vibrators are particularly suitable for the treatment of big pieces fixed on frames and for pieces that require a strong deburring effect.